Starting on pole, Darren Dryden did not look back as he led flag-to-flag en route to scoring the victory in the first of two features for the Lucas Oil T.Q. 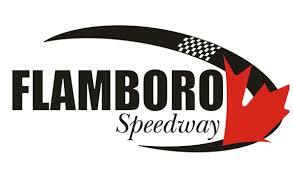 Can-Am Midget feature at Sunset Speedway’s Velocity 250. Darren Dryden started on pole ahead of Cory Whittam, Luc Munsie, Dominique Smith, Barry Dunn, Ryan Fraser, Steve Murdoch, Adrian Stahle, Adam Racine, Mack DeMan, Todd Cresswell, Jeff Blackburn, the 6, and the 43. Off the drop of the green flag, Dryden pulled ahead of Whittam as DeMan got alongside Smith for third. DeMan was able to complete the pass on Lap 2, with Fraser rounding out the top-five. The progress continued as DeMan got alongside Whittam on Lap 3 for second, completing the pass a lap later. Whittam attempted the cross over to get the spot back, but ended up falling in line behind DeMan. Smith ran fourth ahead of Stahle, Fraser and Racine. Racine continued to move forward, getting alongside Fraser for sixth on Lap 6, completing the pass a lap later as Dunn rounded out the top-eight. Racine continued to move forward, passing Stahle for fifth on Lap 9, followed by a pass two laps later on Smith for fourth. Smith now ran fifth ahead of Stahle, Fraser, Murdoch, Dunn, Blackburn, Munsie, and Cresswell. The process continued for Racine as he got alongside Whittam for second on Lap 14, completing the pass two laps later. Behind them, Stahle attempted to pass Smith for fourth, but was unable to complete the pass. At the front of the field, Darren Dryden led the rest of the way en route to the victory ahead of Mack DeMan, Adam Racine, Cory Whittam, and Dominique Smith. Adrian Stahle finished sixth, followed by Ryan Fraser, Steve Murdoch, Barry Dunn, Jeff Blackburn, Luc Munsie, Todd Cresswell, and the 43.